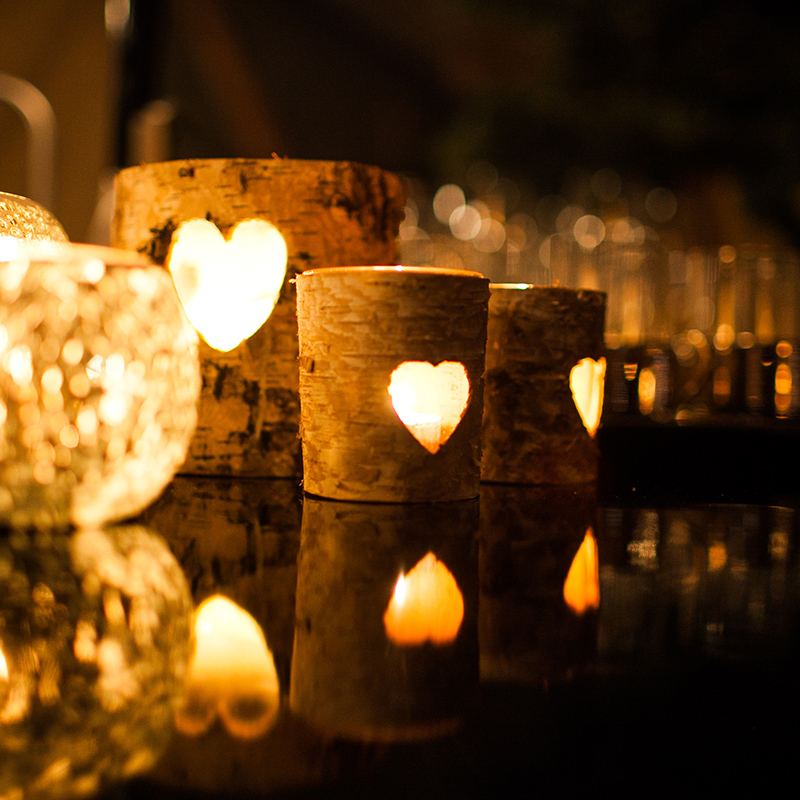 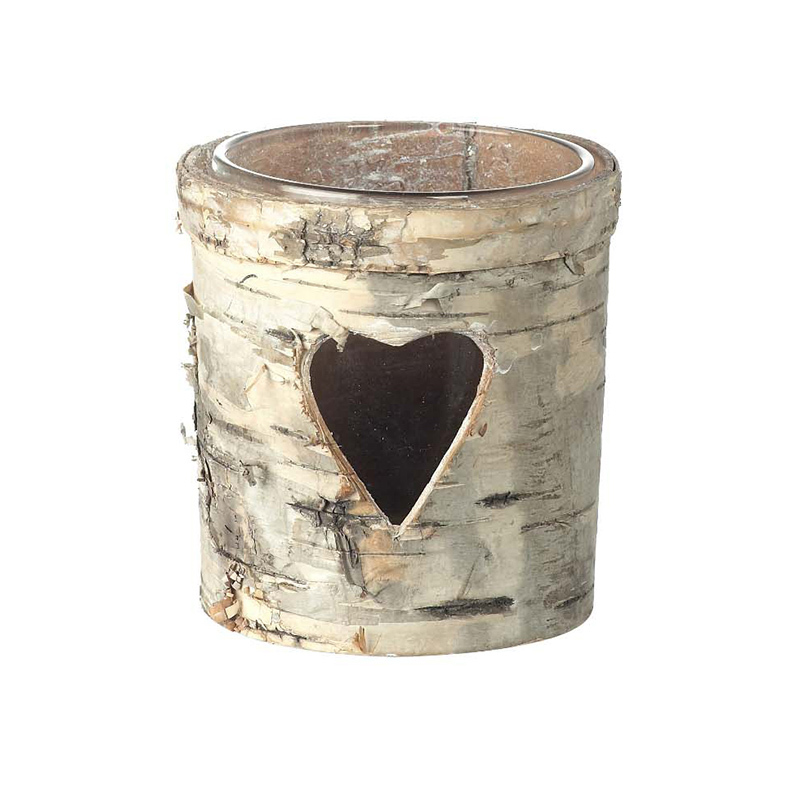 Light up your event with these rustic, romantic bark lanterns with cutout heart detail. 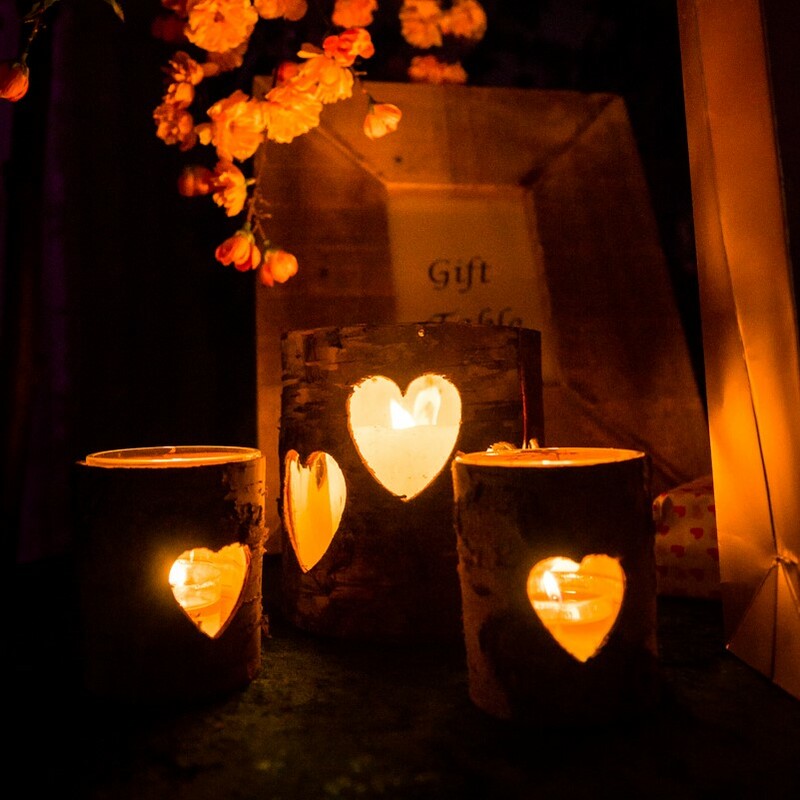 Available in 3 sizes, they look great on their own or grouped together for a gorgeous glowing light effect. 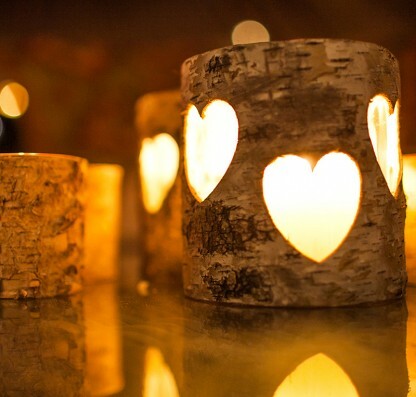 The 2 larger sizes have a handle to allow them to be suspended. 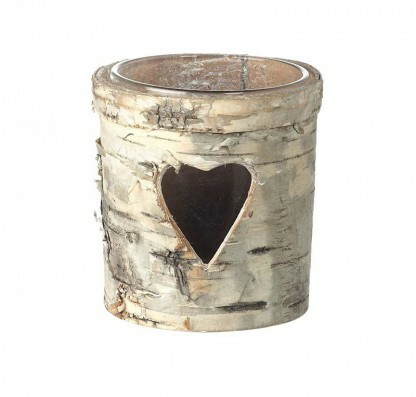 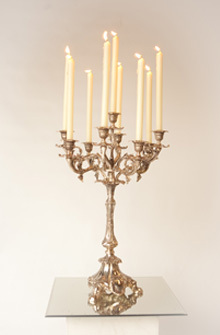 Holds a pillar candle (large and medium sizes only) or a tea light. For both indoor and outdoor use.